A 17-year-old girl fell to her death after she bungee jumped off a bridge without being tied to anything. She reportedly misunderstood her instructor’s poor English, court papers said. Vera Mol is said to have mistaken the instructor’s saying “no jump” as “now jump” due to his “very bad” English, as The Metro reported on Monday. The instructor, who was not named, appeared in court and is accused of causing the Dutch girl’s death when she jumped from the bridge of Cabezon de la Sal in Cantabria in 2015. In the court of Cantabria in northern Spain, it was heard that the instructor should have checked for an ID to make sure the girl was 18 years old. Judges added that his English was “macarronico,” translating to “very bad,” MailOnline reported. If the instructor had used the phrase “don’t jump” instead, her life could have been saved, the court heard. The bridge also wasn’t supposed to be used for bungee jumping, officials said. 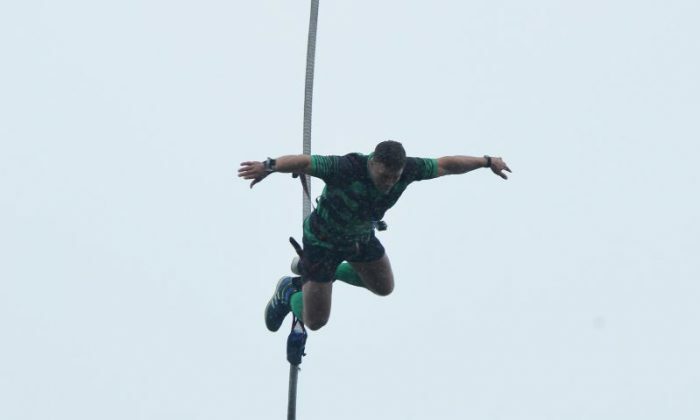 The company who ran the bungee jumping, Flowtrack, admitted the incident was an accident. Martijn Klom, with the firm, told The Sun that the girl wasn’t secured. Mol was a novice at bungee jumping, and she was the last in her travel group to make the attempt. She was part of a group of 13 Dutch and Belgian tourists to Spain, reported Spanish newspaper El Pais. Spain has no legislation on regulating bungee jumping, but there are highway laws that prevent bridges for being used for this purpose. “It’s part of a general set of laws that include stopping on a highway to take a picture, as well as leaping off a bridge to do bungee jumping,” a government spokesman told El Pais.